Exporter of a wide range of products which include round double glass fibre covered aluminium wire, rectangular double glass fibre covered aluminium wire, double glass fibre covered round aluminium wire, double glass fibre covered strip aluminium wire, aluminum double glass fibre covered round wire and aluminum double glass fibre covered strip wire. We are one of the Leading manufacturer, supplier and exporter of Double Glass Fibre Covered (D.G.F.C.) Aluminium Wire - Round. JWPL Double Fibre Glass Covered (D.G.F.C.) 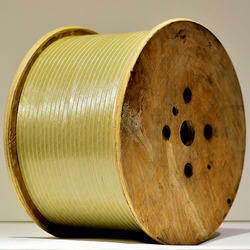 Aluminium Round Wires are supplied on Wooden Spools and Cylindrical Barrelled Plastic Spools. We are one of the Leading manufacturer, supplier and exporter of Double Glass Fibre Covered (D.G.F.C.) Aluminium Wire - Rectangular. JWPL Double Fibre Glass Covered (D.G.F.C.) Aluminium Round Wires are supplied on Wooden Spools and Cylindrical Barrelled Plastic Spools. We are one of the Leading manufacturer, supplier and exporter of Double Glass Fibre Covered Round Aluminium Wire in India. We offer Double Glass Fibre Covered Round Aluminium Wire that is used in various small and large scale industries for various kind of home appliances. These have good thermal capacity and are available in various specifications. 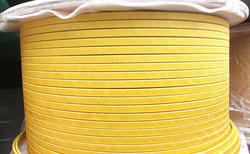 We trade these Wires in various parts of the world at competitive market prices. Minimum Order Quantity - 100 Kg. We are one of the Leading manufacturer, supplier and exporter of Double Glass Fibre Covered Strip Aluminium Wire in India. We offer Double Glass Fibre Covered Strip Aluminium Wire that is used in various small and large scale industries for various kind of home appliances. These have good thermal capacity and are available in various specifications. We trade these Wires in various parts of the world at competitive market prices. 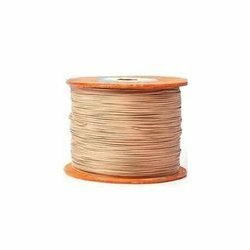 We are one of the Leading manufacturer, supplier and exporter of Aluminum Double Glass Fibre Covered Round Wire in India. 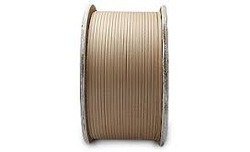 We offer Aluminum Double Glass Fibre Covered Round Wire that is used in various small and large scale industries for various kind of home appliances. These have good thermal capacity and are available in various specifications. We trade these Wires in various parts of the world at competitive market prices. 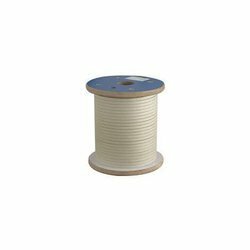 We are one of the Leading manufacturer, supplier and exporter of Aluminum Double Glass Fibre Covered Strip Wire in India. 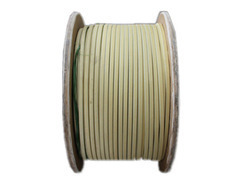 We offer Aluminum Double Glass Fibre Covered Strip Wire that is used in various small and large scale industries for various kind of home appliances. These have good thermal capacity and are available in various specifications. We trade these Wires in various parts of the world at competitive market prices. We are one of the Leading manufacturer, supplier and exporter of Aluminum Double Glass Fibre Covered Rectangular Wire in India. We offer Aluminum Double Glass Fibre Covered Rectangular Wire that is used in various small and large scale industries for various kind of home appliances. These have good thermal capacity and are available in various specifications. We trade these Wires in various parts of the world at competitive market prices. 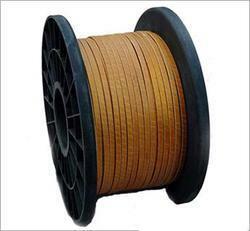 We are one of the Leading manufacturer, supplier and exporter of Aluminum Double Glass Fiber Covered Wire in India. 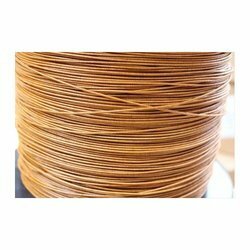 We offer Aluminum Double Glass Fiber Covered Wire that is used in various small and large scale industries for various kind of home appliances. These have good thermal capacity and are available in various specifications. We trade these Wires in various parts of the world at competitive market prices. We are one of the Leading manufacturer, supplier and exporter of Aluminum Double Glass Fiber Covered Rectangular Wire in India..
We offer Double Glass Fiber Covered Rectangular Wire that is used in various small and large scale industries for various kind of home appliances. These have good thermal capacity and are available in various specifications. We trade these Wires in various parts of the world at competitive market prices.